Hearthstone’s uniqueness in the esport scene is one of the things that makes the game great. Being completely different from all other competitive games, Hearthstone is best described as a collectible card videogame. In the competitive world, there is a lot of room for different tastes and if you are into building decks that have complex strategies or if you just simply enjoy a good old battle of wits, then this game will leave you hooked. As the Hearthstone esport scene grew, it started to attracted audiences. Not so many years ago, betting on Heartstone was introduced and these days it’s fairly common for betting websites to have dedicated Hearthstone markets, meaning you can start betting on this great game right now! Even if you are a total beginner and don’t know anything about the game, it doesn’t matter. If you have the will to learn, we’ll be happy to teach you the fundamentals. Let’s jump right in. Hearthstone is a turn-based game between two players which use previously constructed decks. The goal of the game is to kill your opponent’s hero. Each hero has 30 life points and if they get to 0, the player loses. The player who starts the game, kicks it off with three cards. At this point, he has the option to re-roll any number of them in case he doesn’t like his hand. The next step is to draw a card which will result in the first so called mana crystal. The mana crystals are the basis of the economic system in Hearthstone: players gain one on each turn and can spend them to summon cards that need a certain amount of mana crystals to be played. These cards have different attributes: health, attack and mana cost. The first one represents how many damage points the card can take, the second one how many damage points it can deliver and the third attributes determines how much it will cost to summon the card. To beat your opponent, you must destroy his defence lines using monsters and spells and attack him directly until his life points get down to 0. Hearthstone is a really complicated game and proper deck building is needed in order to fully master it. You can have a lot of fun creating new combinations that are hopefully really effective against your foes – it’s a game of exploring new strategies, finding your strengths and weaknesses, and seizing that knowledge to become a force to be reckoned with. One of the main competitions you can bet on is the HCT Summer Championship. We are constantly keeping up to date with the latest tournaments so you can get in the action as soon as the next big event is knocking on the door. The first thing you must do in order to start being a Hearthstone gambler is to register an account with Mr Green. The procedure is quick and as soon as you receive a confirmation email, you will have access to all betting markets for Heartstone. The second step is to learn everything there is to know about the deck building in the current meta. 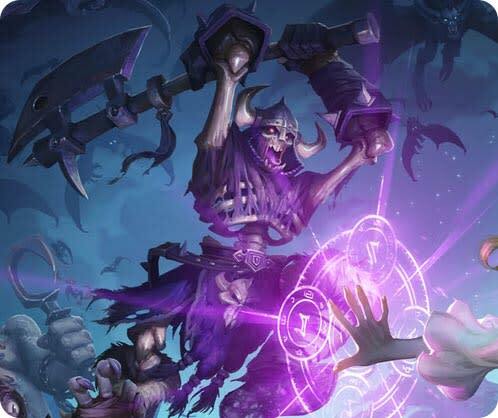 As we have said before, deck building is crucial in Hearthstone and being one of the most influential aspects, it’s important that you learn to recognise the players that are adjusting the very best into the meta. When you have a good feel for this strategical aspect you can begin studying how the odds reflect each team that you have in mind for your potential bets. Last thing, when you feel you have good betting idea, deposit some funds and have a blast! 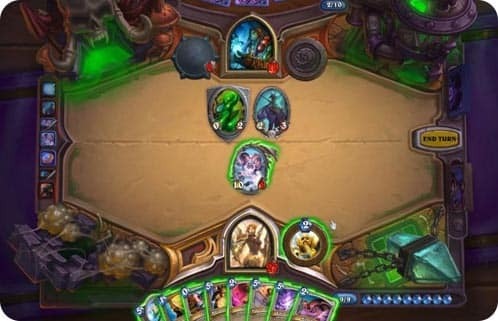 If you want be ahead of the game and thereby have an “edge” against the odds when betting on Heartstone, you need to know the inner strategy of the game. With this knowledge you can assess the teams better and find out their intrinsic capacity. This is extra important in live betting, where you will be making decisions on a minute-to-minute basis. As we have said before, a player with a well-structured deck will have a lot of advantage, however, that isn’t enough to win the game. There are in-game skills that need to be mastered in order to become deadly in a card duel. The main skill is “tempo strategy” because every other strategy is based on this: knowing when you do and when you don’t maintain the tempo of the game. In Hearthstone, if you have the tempo, it means you are controlling the game and you are the one putting pressure on your opponent. To effectively maintain tempo, you need to master other techniques such as: mana efficiency, card sequencing and resource advantages. It is really important to clarify that you don’t need to have the tempo in every stage of the game to be winning; there are some deck compositions that become offensive later in the game, meaning that in the beginning of the match, you will most likely avoid being aggressive which will inhibit you from getting control. If a player knows how to effectively manipulate the tempo to his will, he is one to watch, because to be able to control the tempo, you will effectively master the majority of strategies in the game. That is why it is considered to be the most important thing to be looking for when searching for someone to bet on. The second most important game aspect that potentially will bring you a lot of success as a Hearthstone gambler is the knowledge of card synergy. Having a great card synergy in your deck and knowing how to take advantage of it is really tough. Not only does it require great deck building skills but you also need to have a strategic mind in order to think several moves ahead in order to know what the combo you are about to play will result in. The best Hearthstone players are several moves ahead of their opponents (similar to chess). Being able to know how the cards you have at your disposal will interact is a very important skill when planning deadly combos. You will need to watch quite a lot of games to figure out which players can do this properly. Once you get a better feel for this you can begin to relate it to the odds prices – both pre-game and in-play. The betting markets for Hearthstone generally consists of betting on who is going to win a match. You could for example be offered the odds 2.00 on Player A or the odds 1.75 on Player B. If you place €10 on Player A your payout will be €20 if Player A beats Player B. It is also possible to bet on the outright winner – i.e. tournament winner. This means you place your bet on your team before the tournament begins, and you will have to wait for your eventual payout until after the final game of the tournament has ended. Great deck building skills (that adjust to the meta) is a key aspect that your ideal betting pick (player) must have. Good knowledge about this gets you an implicit advantage in betting. To be in control of the tempo, the player must have mastered most of the Hearthstone strategies and be able to seize them to dominate the course of the game. This aspect is also important in order to distinguish between a stronger and a weaker player when it comes to odds valuation. To detect important characteristics that your ideal betting picks must have, you need to watch a lot of professional matches! It’s the best way to know all the players, their strength and weaknesses in the current meta. Study all previous head-to-head matches as well as the form of the players.